The International Conference on New Trends in Quantum Light and Nanophysics addresses the recent progress in quantum physics of light matter coupling, with a special emphasize on the two-dimensional crystals such as graphene, silicene, germanene, transition metal dichalcogenides, hBN. The invited speakers include internationally leading experts in nano-photonics, advanced materials, quantum physics and technologies. The Conference is open for student attendance. PhD students and young researchers are encouraged to present posters. Although the birth of the town cannot be dated with absolute precision, there are some unmistakable indications. For example, its name and several other place-names (Calicastro, Racia, Profiti, Filacara, Santavenere) would justify situating it in or around the Greek period, as recent archeological discoveries appear to confirm. 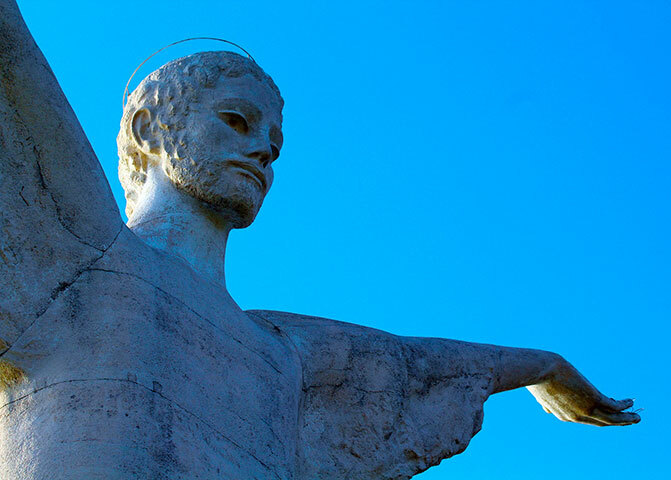 Whereas the name and origins certainly go back to the Greek colonization, the most ancient document on the city, a bull of Alfano I, Bishop of Salerno, dates from the year 1079. From the western bank of the River Noce, which makes the Plain of Castrocucco so fertile, with its double harvest of fruit and vegetables, to the Mezzanotte (midnight) Canal, which traces along the awe-inspiring cliff (perhaps the origin of the name "Mezzanotte") the edge of the boundary with Campania, Maratea displays a coastline of unusual charm and beauty. Among other features of the coast is the chain of eight square towers strategically erected on headlands and high ground, as look-out posts and defences against the raiding Saracens and corsairs. Enlivened with rocks and shallows, creeks and caves (those of Marina are particularly interesting), big and small beaches, tailored, as it were, for human beings, sandy or pebbly, ferrous or calcareous, the coast is dotted with pines, olive trees, oaks, carobs and holm-oaks, often leaning over the sea as though they longed to plunge their leafy heads into it and slake their thirst with immortal waters to keep them ever cool and fresh. 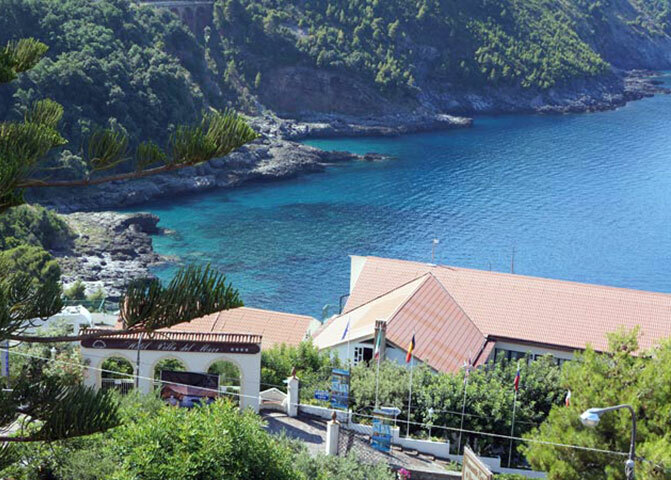 International Conference on New Trends in Quantum Light and Nanophysics (QLIN-2019) will be held in Hotel Villa del Mare, Acquafredda di Maratea (PZ), Italy. The Hotel offers 73 rooms equipped with individually controlled air conditioning, balcony overlooking the sea, digital and satellite TV, direct dial telephone, minibar, safe-deposit box, wireless internet connections. The hotel has private beach partially served by a lift, swimming pool, parking, press room, TV room, 2 restaurants, a bar on the beach. All these facilities are included in the registration fee. The Hotel also has a Wellness Center that uses sea water of the bay (rich in iodine and trace elements) that is used at a temperature of 37 °C. It is 1000 mq wide with elegance and technology, offers a range of thalasso and aesthetics treatments to keep mind and body in shape. The Spa services aren't included in the registration fee. Please, keep in mind that the conference will start on Monday 8th July morning and finish Saturday 13th July afternoon. It is expected that you will arrive on Sunday 7th July and depart on Sunday 14th July. The most convenient airport to land at is the one of Napoli (Naples) www.gesac.it . The airport is very close to the city, and from there you can take a bus to the train station of Napoli "Napoli Centrale". From Napoli to Sapri there are trains (almost) every hour and the trip will be 1:30 hour long. For the rest of the trip, refer to the section below. Alternatively, you can land at the Rome Fiumicino Airport. From there you can take a train ("Leonardo Express") to Termini Railway station and from then a train to Sapri (almost 4:30 hours). You should get the train to Sapri. Train times and the prices can be found (in several languages) at www.trenitalia.com . Please call the hotel when you arrive: dial 0973 878007, telling them who you are. If come by train on any day other than the 14 th, let us know. Your return transfer from the hotel to Sapri's railway station on the 22 th of July will be arranged at the Hotel. Transfer between Sapri Railway station and the Hotel will be provided for all the days of the Conference. You should arrive from the highway (A3) connecting Salerno and Reggio Calabria. From the highway, you should take the exit of LAGONEGRO NORD-MARATEA. Follow the SS.585 "Fondo valle del Noce" for about Km. 5, until a clearly marked sign for Sapri. Take the road to Sapri. At Sapri follow the SS.18 to Acquafredda. 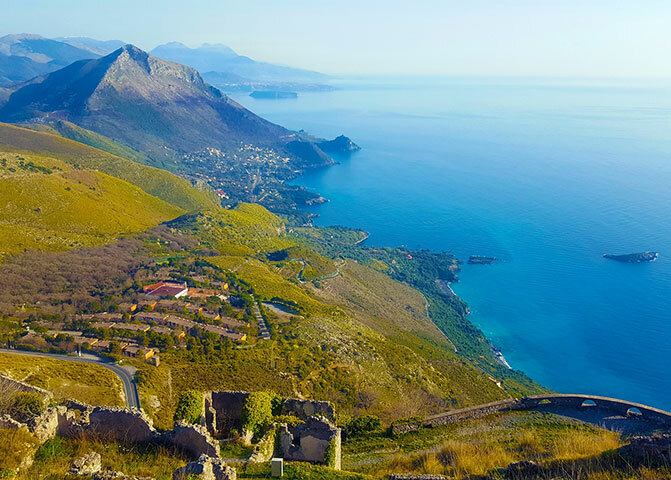 If you prefer you can reach Castrocucco di Maratea through the Noce SS.585 and then reach Acquafredda along the beautiful coast. and attach attach the evidence of your payment (jpg or pdf files) . Prices include 22% of VAT. REGISTRATION FEE covers access to the conference hall, coffee breaks, welcome cocktail, excursion, gala dinner, transfer from/to Sapri railway station first day and last day, the conference kit. ACCOMODATION FEE covers accomodation at Hotel Villa del Mare. ONE DAY FEE covers launch and dinner for one day. SPECIAL FULL CONFERENCE FEE covers registration for participant plus partner and hotel accommodation/food for 7 nights in a double room. Fees don't include what is not specified in fee covers.